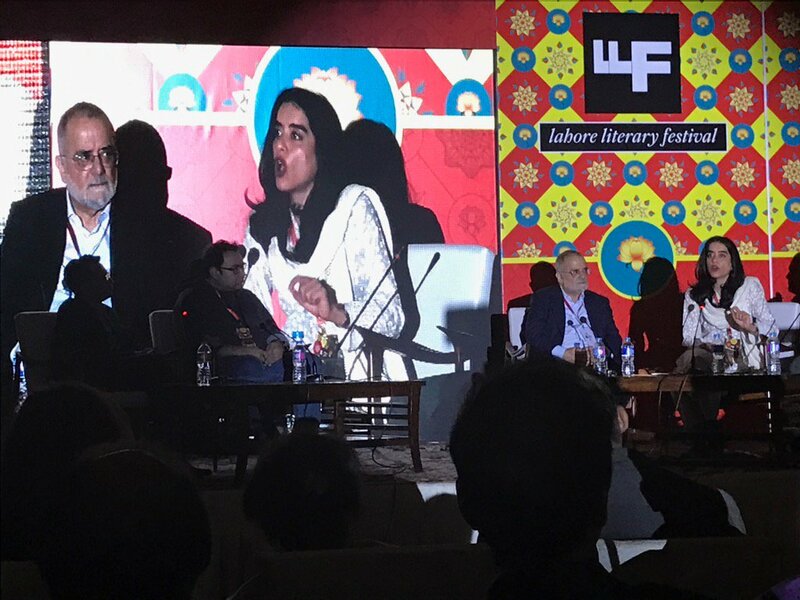 LAHORE: A panel consisting of Max Rodenbeck, Qasim, Ahmed Rashid, and Nermeen Shaikh moderated by Fasih Ahmed took on the topic of fake news and what its effects were on political narrative at the LLF. The panellists started the discussion by bringing it into context and relating it to the recent 2016 US presidential campaigns and how heavily fake news featured from both sides, and especially the campaign of now President Donald Trump. The matter was taken up initially by Ahmed Rashid who talked at length about press censorship in the past and how fake news was not something of the present but had always been present since the invention of the printing press. However he made sure to assert that the adoption of false narratives and the propagation of ‘alternative facts’ by the government of the USA meant the creation of a dangerous new precedent. The panel continued to talk about the role of the internet and social media in making fake news the giant it is today and there was talk of how governments and military establishment are using means such as twitter to avoid confrontation and accountability from serious journalists. Some semblance of hope came from Max Rodenbeck however, who said that the situation was not a new one and that President Trump is making a transition from his role as a reality TV show host and that he will eventually be boxed in by the American system. The highly charged session was dominated by Nermeen Shaikh from Democracy Now who questioned the media’s own actions and tried to a measure to bring their hunt for ratings to task. She went on to discuss in some detail how the media held great power in their hands and that with that power came responsibility and failure to uphold their responsibility must also result in some form of accountability.